The challenging macro-economic environment, recent terrorist attacks in France, Belgium and other countries, growing cyber threats, and not least, political uncertainty caused by the recent EU Referendum vote demonstrate a clear demand-supply gap and a need for appropriate insurance solutions. 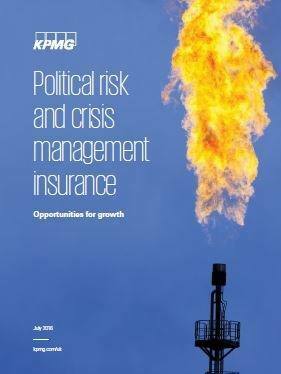 The overall Political Risk and Crisis Management insurance market size is estimated to be around $8.1bn, with almost all key sub-segments showing positive demand growth (particularly, in the cyber security segment) but this is strongly undermined by challenging macro-economic conditions around the world as well as continuous influx of alternative capital. The soft market environment and profitability challenges are unlikely to go away in 2017, forcing insurance carriers and brokers to find ways to innovate and seek partnerships outside insurance. 3) Growing customer demand for solutions against the changing terrorism risk and cyber security challenges.